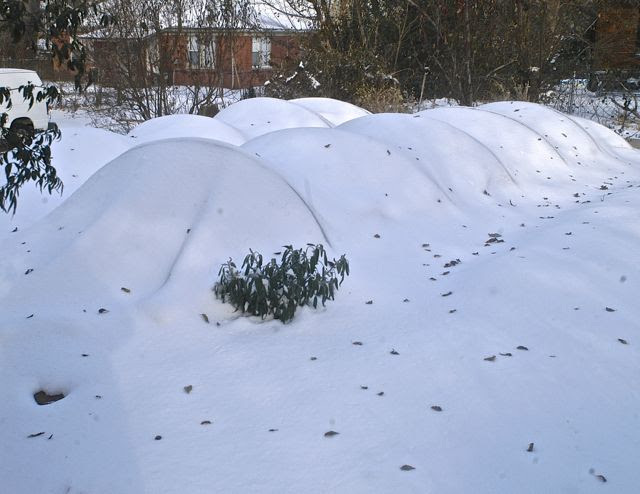 It’s astonishing how well vegetables will grow when protected from wind and cold by low tunnels made from hoops and row cover. We use this simple method at our farm to protect greens and root crops through the winter, to start vegetables earlier in the spring, and to keep them going later in the fall. Elia will demonstrate how to use hoop benders to turn lengths of EMT pipe (galvanized electrical conduit) into 3’ wide or 6’ wide hoops that will last for decades. This is a great opportunity to bend hoops for your own garden. You can bring your own EMT pipe, readily available at hardware stores in 10’ lengths; we recommend ½” diameter. We’ll also have pipe available for sale that you can bend on-site. Note: For those who would like to stay after class, we’ll do a free tour of the low tunnels we’ve recently built over small compost piles. The compost gives off heat as it decomposes, and warms the low tunnels at nighttime. 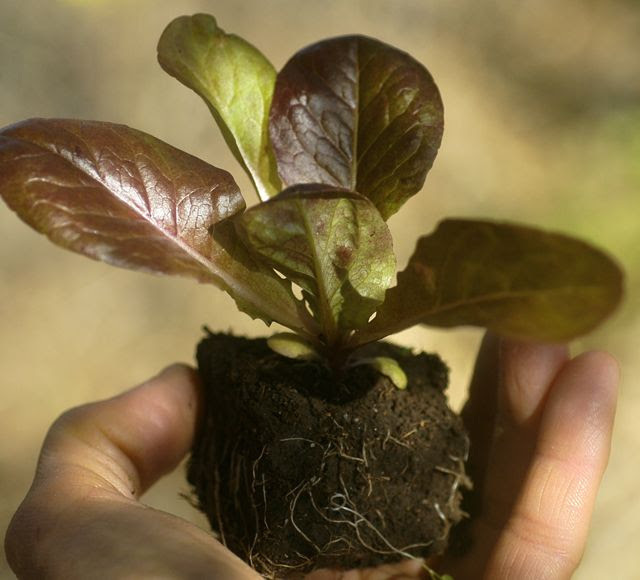 Have you always wanted to plant a garden, but felt overwhelmed and didn’t know where to start? We’re here to help! We’ll walk through the steps of choosing where to locate your garden, how to set up a container garden with Smart Pots, and what to plant first. 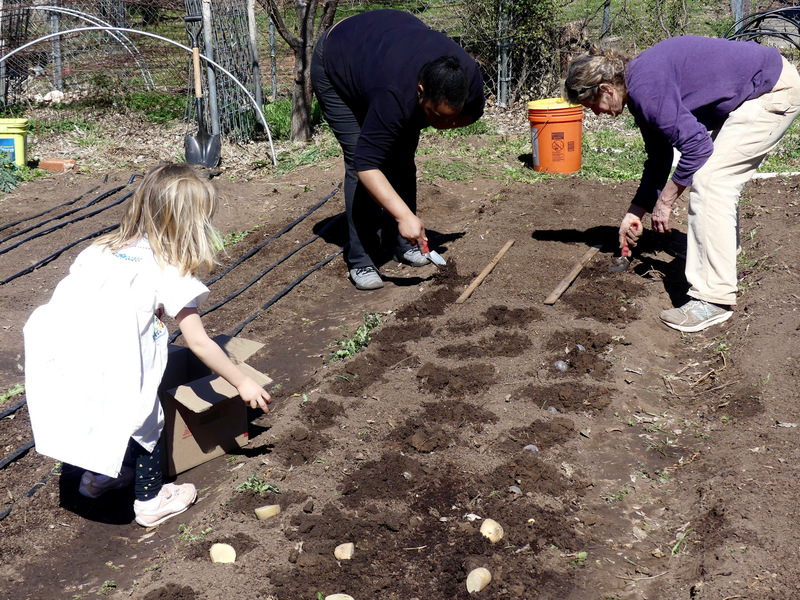 This workshop coincides with the launch of CommonWealth’s free Beginning Gardener Video Series, designed to support new gardeners from day one through the entire growing season. Here’s to a successful first garden! Born in Saigon, Vietnam, the youngest of five children, Thanh Tran was six when her family was evacuated and flown to Oklahoma City. After college at Smith and OU, where she earned dual degrees in history and Information Systems, she moved to Denver and for 15 years, created a great career as an IT architect. Before she had determined her next career path, her father died and she moved home to Oklahoma City to be a full-time caregiver with her mother. “It felt good,” to be doing that, she says. Her mother died two years later, about the time her next-youngest sister was diagnosed with stage four breast cancer. Thanh had been learning about healthy living, self-care and food as medicine. She and her sister embarked on a plan to help her sister find a way to physically restore her metabolic processes and take the time to spiritually and emotionally deal with her life situation. After six months of a program of holistic immunotherapy, her sister began chemotherapy and responded so well that she was clear of cancer after a year, with no radiation or further chemo. At that point, a friend in upstate New York invited Thanh to consider working on Essex Farm. For the last two years, she has been involved in many aspects of vegetable farming there. But two considerations began pulling her back to Oklahoma City: two young great nieces who, she realized, will grow up fast and she’d like to spend more time with them. Too, there seemed to be something wrong about living in a rural setting working long hours on a farm to help supply food for people in the city. Back in Oklahoma City for the holidays, she began to explore the local food production here. Two weeks ago, she came to visit CommonWealth Urban Farms. It was exactly at the moment CommonWealth was interviewing people for the veggie farm manager position. Thanh applied, and began working in her new position late last week. 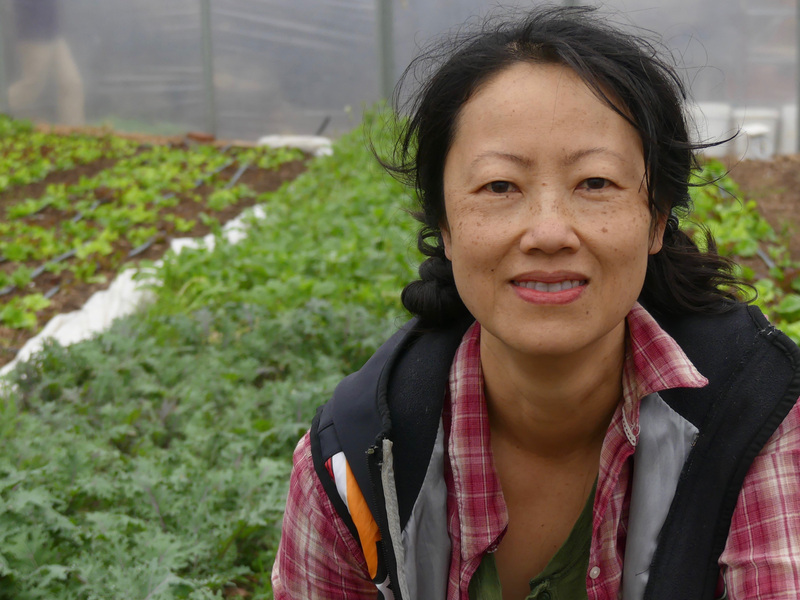 “Growing food alone, or with a small group is difficult,” she says. “To have a community to do it together, like there is at CommonWealth, is important. This makes sense to me. It’s appealing to me to bring back our innate relationship with soil and food. We’ve lost that knowledge in urbanization. “We say the problem of growing food for people is solved. But it’s not solved. We need to bring balance back. We can’t segregate farm life from urban life. We have to open the conversation from a different perspective. It’s early in the proposition: Does urbanization work for humanity, for the Earth? We haven’t solved the food system situation. We don’t know if you can have 80 percent of a densely populated urban environment and 20 percent of the people growing the food in rural areas. 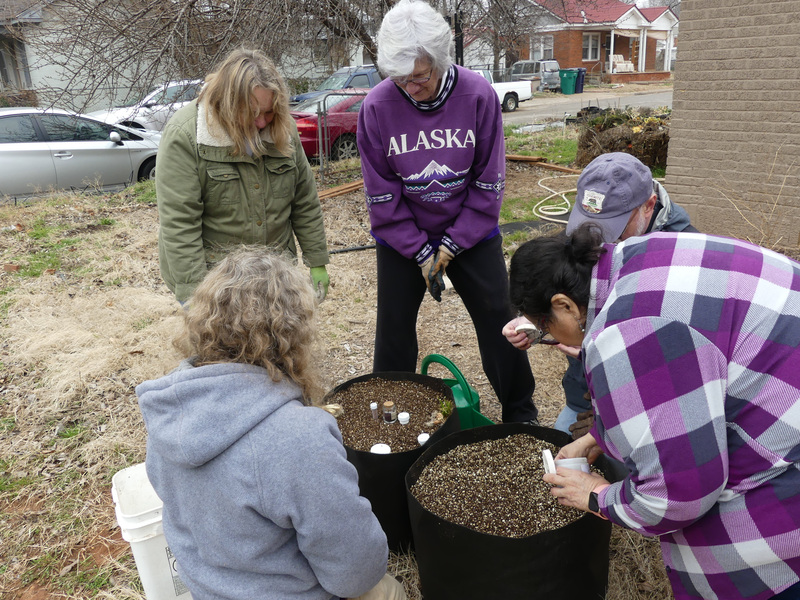 When visitors come to CommonWealth Urban Farms, they are amazed at the composting operation and the rich quality of the worm compost that is used to feed the farm. Allen Parleir and David Braden work with countless volunteers, the youth of Closer to Earth—and untold numbers of Red Wiggler Worms!—to turn food and tree waste into a rich natural fertilizer. It is the secret to why CommonWealth veggies taste so good and are so nutritious. 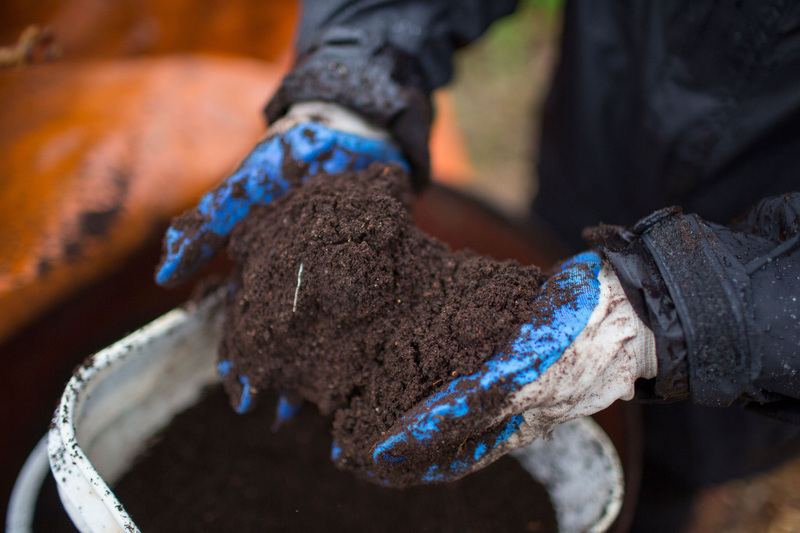 For years, the vermicompost (worm compost) has been used solely on our farm. We are happy to announce that we are producing enough to provide compost to the community. Learn about its benefits and uses on the compost link on our website. To order a one-pound bag ($10) or a four-gallon bucket ($40) of our compost, email info@commonwealthurbanfarms.com or call Allen Parleir at 524-3977. There are a few more slots available for membership in our Veggie Club, also known as a CSA (Community Supported Agriculture.) Season begins the first Saturday in April and ends the Saturday before Thanksgiving. 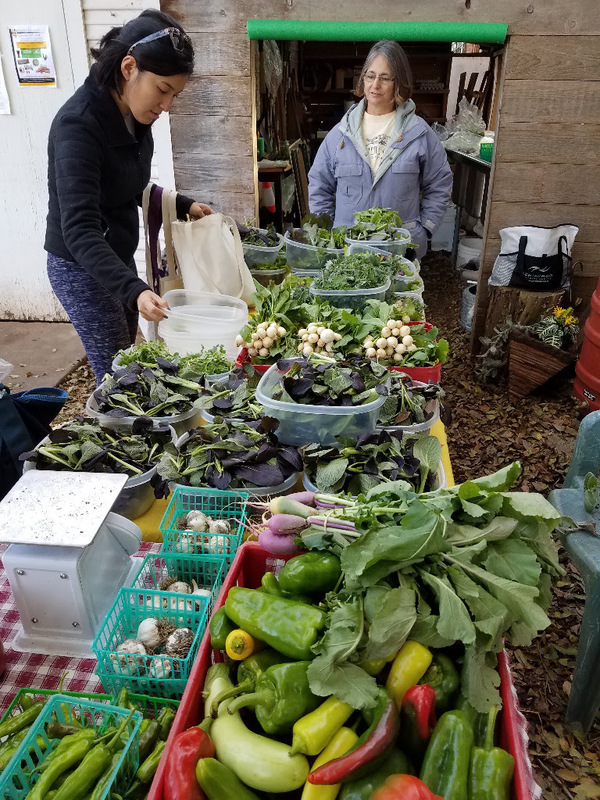 During that time, participants order weekly for 25 or 30 weeks of the growing season and pick up their food at the farm on Saturday mornings. With warming temperatures, farm growth is about to explode. 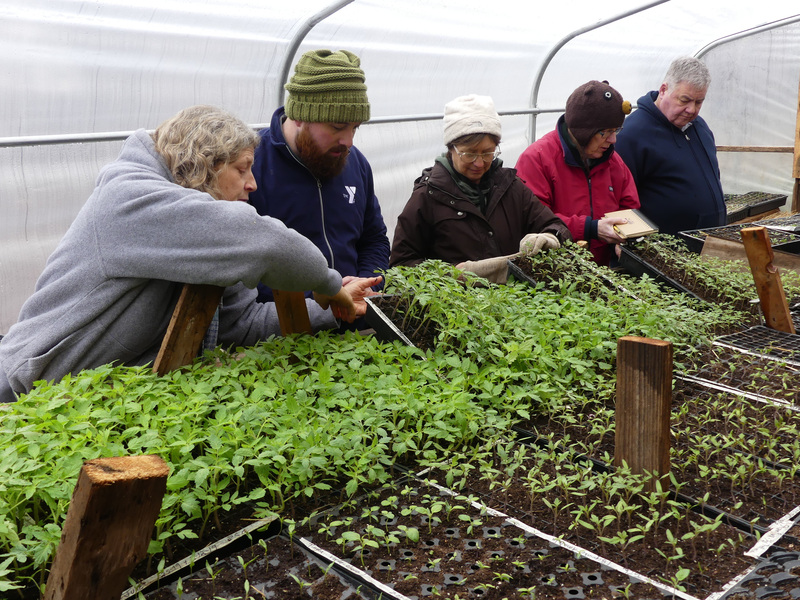 All hands are on deck now to replant the farm with thousands of seedlings. And we welcome a new group that’s come to learn how to grow food. CW staff welcomes, Lifus, Harriette, Ginger, Jennifer and Yatar! Four pastors arrived on a colder-than-expected March day to begin their Hands in the Soil experience. Getting into the warm greenhouse felt good—and what a delight to see all those baby plants! In the next nine months, Trey, Diana, Deb and JD will learn about growing community, growing food and other aspects of care with Earth during their monthly visits to the farm, now through November. 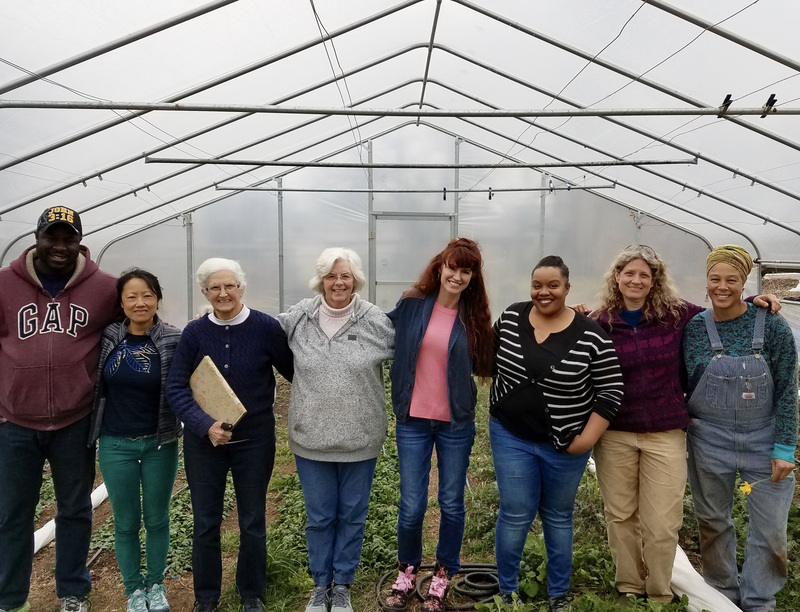 This year, we have expanded the Hands in the Soil program so that, on another Friday each month, a group of laity spends the day together learning at CommonWealth. Both groups will tend their Smart Pot gardens at CommonWealth (already there’s a bit of a healthy competition!) Clergy will also have Smart Pots gardens at their homes and the laity—Norma, Pam, Jerry and Roxanna—at their churches. This is a CommonWealth program to support the work of Green Connections. Special thank you to Smart Pots for their donation of pots! Designed to support new gardeners from day one through the entire growing season this new video series appears weekly through October. Check our Facebook page to view the videos. This first video complements our For Beginners Only! Garden School, which we’re offering again March 23.